Phonics fluency notebooks are one of my favorite literacy activities for teaching students to read with fluency and comprehension. I love them because they are hands on and interactive and require the students to not only read, but understand, the story to complete them. These actually started out as full color fluency puzzles as a literacy center where students read it and put the events of the story in order. I was really excited by all the positive feedback I got about how much kids liked them and learned from them... but I also kept getting requests to make them in black and white for teachers to save color ink. I kept thinking, "But why would you want them in black and white? It's a literacy center you laminate and keep." but I wanted to make people happy so I made them. As I was switching over all the clip art to black and white versions, it hit me that these would be awesome for our phonics notebooks! I'm so thankful for all the people who requested it because they're one of my favorite things now! 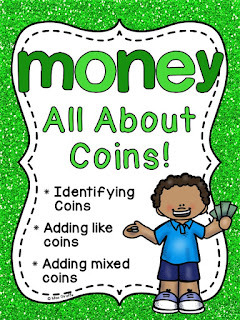 I usually put cut and paste worksheet activities in the interactive notebooks from the no prep phonics packs which has been great but then I thought these could be made into an actual phonics book that students keep and can refer to all year when they need help with a particular sound... or just a book to read through all their stories. 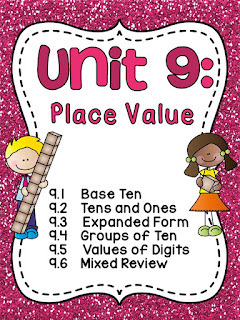 (You can see a lot of the cut and paste activities I'm talking about in my most recent post EW UE UI Activities if you're interested - the ideas in that post can be used with any phonics sound). I printed out the black and white version and they fit perfectly in our notebooks! You can also have them make a table of contents if you want! 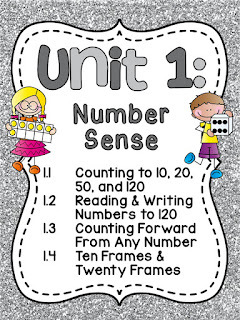 It's not really necessary in kindergarten or first grade but it is good practice for how to use a table of contents. To do this, have them number all of the pages in the bottom corner. Then, have them take one of the first pages in the notebook and write "Table of Contents" at the top. Each time you make a new page, they write that number in the margin then write the sound you're practicing on the line. I don't use a table of contents since there are well over 100 puzzles in the bundle but I thought I'd sketch out an example in case you wanted to do one. Another great way for them to keep their place is with a bookmark! Then, they can put the ribbon wherever they leave off in their notebook so they find it right away when they come back to it, no flipping through notebook pages. Kids LOVE to cut and paste, right? I talk about this a lot in my posts about my math units... but a lot of teachers avoid them because it can get messy and loud. But it doesn't have to be at all! The best way to manage your class during cut and paste activities is to require them to stay in their seat. Some kids will cut and make a big mess then be under the table grabbing all the pieces that fell, right?? And then there's the kid who has to go throw away every scrap piece by piece into the class trash can. Well that can all be saved by a trash bowl on their table! Any time you're doing an activity that involves cutting, have a trash bucket on their table so they can put the scraps in it as they go. No reason for there to ever be scraps on their desk or the floor... and no reason to get up. It will save your sanity! These puzzles don't have a lot of extra scraps but I wanted to share this tip anyway because it's SO helpful for arts and crafts activities with a million pieces. ESPECIALLY because there's always the kid that is devastated when they accidentally throw away one of the pieces (I lost my monster's eye!) to their project, right? And all they want to do is dig through the super icky class trash full of snotty tissues to find it - um, nope! They can look through this clean paper-only bucket quickly if a piece goes missing. One thing that is really important to me in my phonics resources is that all of the words in the passages are decodable. I try to only use words with the focus sound, easily decodable words, and only the simplest of sight words (like, to, etc.). I want the focus to be on practicing that phonics sound and reading fluently. If there are sight words they haven't learned yet or hard-to-decode words, they'll get hung up on those and I want ALL energy and focus to be on reading words/sentences with the focus sound. It takes me a lot longer to create passages but I make an effort to always do that as much as I can in everything - my phonics packs, reading passages, everything. You can also follow me on Pinterest for more teaching ideas! EW UE UI is a difficult phonics sound to teach so I wanted to show you guys some fun activities you can use for this set of long U vowel pairs to make your lessons and literacy centers more fun! All of the activities and ideas I'm about to show you can be used for any phonics sound so if you don't teach EW UE UI, you can still get some fun phonics ideas out of this hopefully! My favorite phonics activities are usually sorts that involve pictures! It really gives the words students are trying to read a "real life" connection. I LOVE these little trash bins from the dollar store for sorts. You can use them to sort anything! Kids love putting things in the trash can. Simply label the front (I shrunk down my chevron Alphabet & Phonics Sound Classroom Posters) and have them put it through the slot! They're plastic so you can even just write on the front of them with a dry erase marker if you want. The word/picture cards are my EW UE UI pocket chart cards and I use them for a ton of different things! 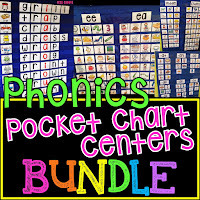 I have them for all the phonics sounds in a bundle as well. Sorting EW UE UI words is hard since there's not really a rule for when you use each sound (or if there is, please tell me!) so it's nice to have the words on the cards to help. 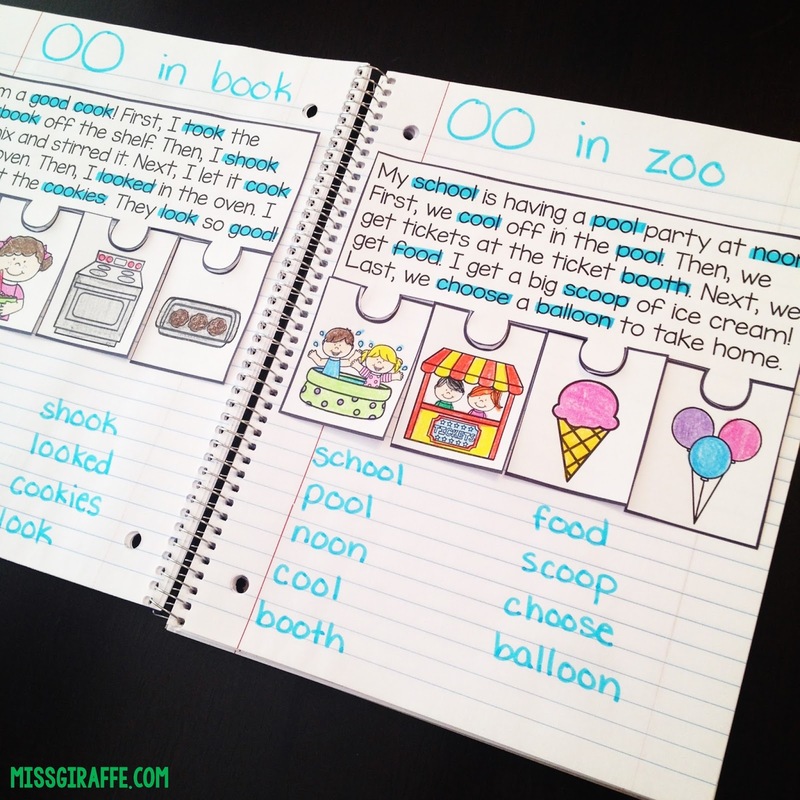 Spelling out the words is also great for practice since repetition with these sounds will really help students learn how to spell them. I recommend doing the sounds individually so they get a lot of practice with each individual phonics sound so, for spelling out the words, have them do EW words only, UE words only, UI words only as separate activities. You can also have students take a card or two at a time to write sentences with. I also like to laminate a set of cards, punch a hole in the corner, and put a binder ring through them to make a set of cards that you can just grab to practice reading the words, use in your writing, whatever! They're great for small groups, the writing center, etc. Speaking of binder rings, if you don't do this - you need to start ASAP! Print fun worksheets for a given concept double sided, put them in sheet protectors, and put a binder ring through the top hole to make an awesome center for ANYTHING that kids can just grab and go. All kids need is a dry erase marker and they have so many practice activities for any concept. They make an awesome activity fast finishers can just grab and take back to their seats. It's also great to give a student who may be struggling with a certain skill to practice. The beauty is it all just wipes away to be reused over and over again!! Plus, for some reason, a dry erase marker makes a worksheet seem 10x more fun so students are motivated to do a whole packet in one sitting and will even pick these during free choice! Like I said, they just grab a dry erase marker and flip to the page they want to do. I just printed my entire EW UE UI no prep pack of these worksheets double sided, threw them in sheet protectors, and it's an instant review center. 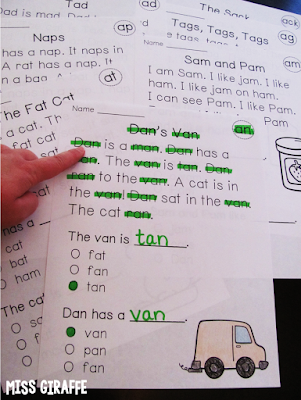 You can even put many of the cut and paste activities in there - they can just write in the answers and cross out the word they would've pasted to show they've used it. Seriously, try this. You can do it with math concepts (make an addition ring, a fractions ring, etc.) too! I have a ton of no prep worksheets for EW UE UI that are like the phonics worksheets and activities I have for other sounds (check all the packs out HERE) so that activities are consistent... all kiddos have to focus on is the new sound being learned, not how to do the activity. There is so much more instructional time (and sanity!) available when you don't have to give directions! Some students may need a lot of practice matching pictures to words before they are comfortable reading the words in sentences. For students who really struggle, you can give them prewritten sentences to trace and write that have a picture cue to help them. I like these because it gives struggling students the confidence to be writing sentences (and using the focus sound in those sentences), especially if they struggle to come up with their own. The student can use the pictures on the side to help them think of sentences as well as have the spelling for that picture with it so they can use it correctly. These are so helpful for reluctant writers who have a hard time coming up with sentences on their own AND the students who are perfectionists and don't want to spell words wrong. They also aren't overwhelming since there are 3 separate sentences where they choose a word and illustrate what they wrote. These work for ALL levels. You can challenge your higher students by having them underline the words they used with the focus sound and challenge them to use as many as they can. These writing sheets are included in the EW UE UI pack but I also have a year set of these for all the phonics sounds if you don't get the individual packs they're in. 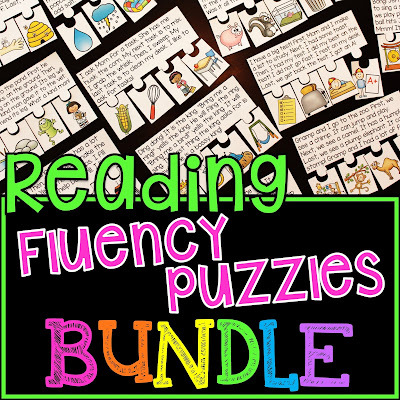 Speaking of challenging your high kids, I love to provide a ton of phonics practice differentiated for the higher kiddos as well where they are practicing the same skill but in a more puzzle-y sort of way to keep their engagement. A-maze-ing Sentences are a favorite because they have a ton of reading practice packed in a puzzle. In the above example, they have to read a bunch of UE words to color their way through the puzzle. Another favorite are phonics crossword puzzles. You may think your first graders or whatever grade you teach are too little for crosswords or wouldn't be interested - no way! Kids LOVE crosswords and are super capable! They just look at the picture and write the word that it is. It's really only just as hard as a Write the Word worksheet (see right below this) but it is represented in a fun, puzzle-y way so it really keeps students enjoying the work they're doing with words. Another puzzle-like activity is Secret Word! For this activity, students cut out all the letter pieces to use. Then, they look at each picture and spell the word it is next to it and write it. BUT THEN... dun dun dunnnnn... they have letters leftover! They have to unscramble these letters once they're all done building the other words to figure out the SECRET WORD! You could hear a pin drop, seriously. Once they figure out the secret word, they glue it down, draw it in the picture box, and write it. It is always a race to figure out the word! If your kids love Secret Word, they'll also love my Secret Words: Vowel Teams activities! For this activity, students look at each picture and figure out its beginning sound (guitar is G) and put a magnet letter in the box below it. Once they do that for all of the pictures, they've figured out the secret word! You can also laminate them, which I recommend anyway so you can reuse over and over, and write the letters in the boxes below the pictures with dry erase markers. I also like to practice the weekly words with sign language! Kids EAT. THIS. UP. Just give them the sign language chart that comes with it to reference and they will be building words like crazy. It's so great for kinetsthetic learners because they will sign each letter with their hands as they do the activity which really helps solidify the skills for them. I have the sign language cards for vowel teams like ew, ue, ui as well as a big bundle for many different phonics sounds and sight words! I bought a couple and each one gets a set of alphabet magnet letters and a handful of bottle cap letters. I wish I could find some with 26 boxes but 18 works out pretty well. I just double up less popular letters. I keep meaning to put little dot stickers from the dollar store on the wall in front of each hole to label them with what letters go in it (makes cleanup faster) but I haven't yet. 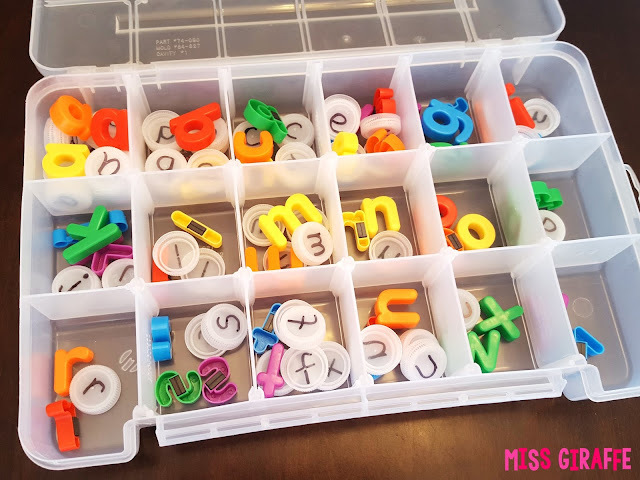 They're really easy for these secret word literacy stations for kids to just grab a box and work. Also, it's more efficient than them digging through a baggie or bucket of letters - this way is much faster for them to build words. 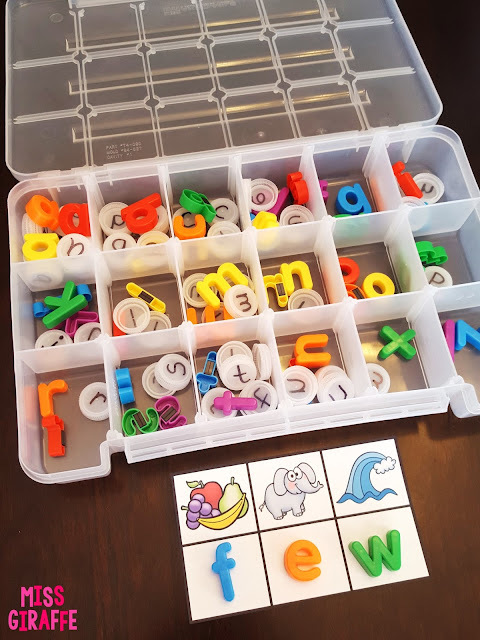 You can even throw the cards with the phonics skills and sight words you're learning that week in the box with the letters so it's an all-in-one center box. Another hands on activity for your kinesthetic learners that is a little easier are clip cards! Clip cards are also good for building fine motor skills as well. Kids just read the word in the middle and clip the picture that represents it. These are from my Vowel Teams Clip Cards bundle which are also in an even bigger bundle with a lot of different phonics sounds. Alright so now that your kids have a lot of practice with the actual words, let's move on to sorting those words like we started the post with. This cutting and pasting activity from my EW UE UI pack is a good transition since it uses pictures and words to sort the words like the pocket chart center did for them. Once they can sort the words by sound, have them do it IN SENTENCES. It is SO important for them to recognize the vowel team within words within sentences so they can remember to use the sound when they see it in sentences. For this activity, give them 2 different colored markers or crayons or colored pencils.. have them read each sentence and look for the focus sounds. Have them circle each one in a different color and write the words below. This is great practice for finding them in sentences and will help them so much in reading the sentence! I think highlighting the sound you're practicing in the word helps SO MUCH when they're trying to read words, especially within sentences. I recommend doing it as much as possible to scaffold their reading! As you can see, the sound they're practicing is highlighted in the word... it makes it a lot easier to remember to say EW for ew (instead of trying to sound out the letters individually) when it stands out to them. You can also have them highlight the entire word when they're reading more length. This is really helpful, especially for passages that you reread several times, because when they come to the word, they'll already know to look for the focus sound. As you can see, they only highlight words that use the focus sound. If they have the time and space, also have them write the words they highlighted below. Writing really helps with retention when it comes to tricky vowel sounds like this! Make sure they only highlight the words with the specific sound you're practicing too. UI and EW make the same sound but if they're practicing them in isolation, have them only highlight the words that make that sound and use those letters ("ew" below). These phonics notebook pieces aren't in the no prep pack. 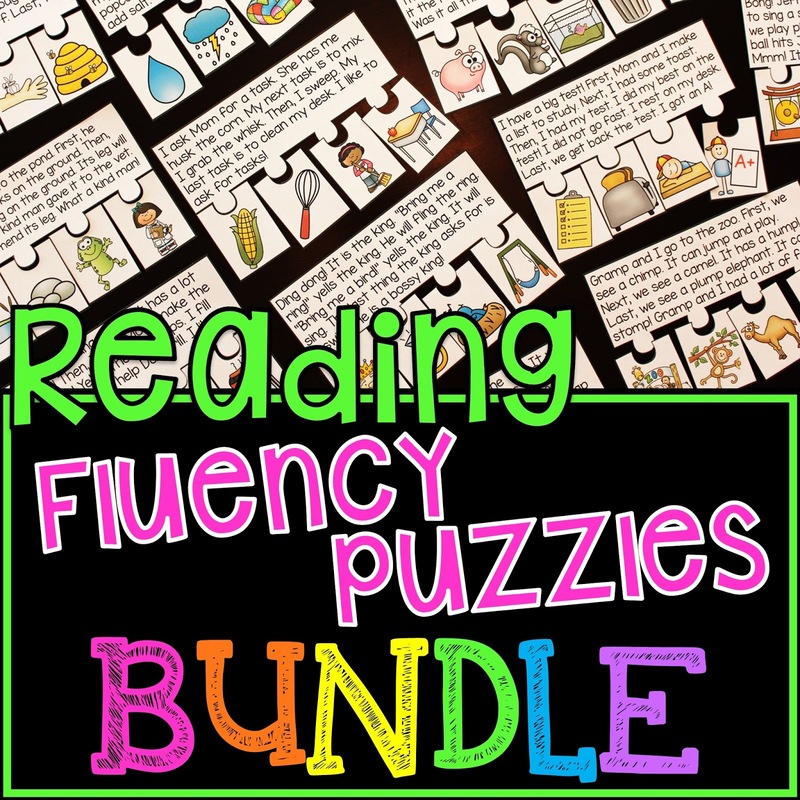 They are in my Vowel Teams Fluency Puzzles bundle (if you want these for the entire year for phonics, click HERE). 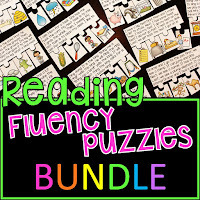 I love them because they practice one phonics sound at a time for a lot of fluency practice but also incorporate sequencing and comprehension so they practice a lot of skills all in one puzzle! Kids read the story then sequence the events of the passage in order and color the pictures. You can use the color versions in small groups for really fun reading practice and then later as a review literacy center! The black and white versions that go in notebooks, though, are great to build a phonics notebook with that students can keep, reread, and reference all year. I really recommend phonics notebooks if you don't already do them with your students. I also like Phonics Little Books to practice each sound and to take home to read to family. and of course.... Spin A Word! Use a pencil and a paperclip to spin the spinner and add what it lands on to the next letter(s) to build a word. If it's a real word, circle it! They can play this all by themselves OR with a partner to see who gets the most circles. Well I'm sure that's enough rambling and pictures for you!! I just wanted to provide a lot of ideas for EW UE UI since it's such a tricky sound. Like I said in the beginning, you can do any of these activities for any phonics sound! 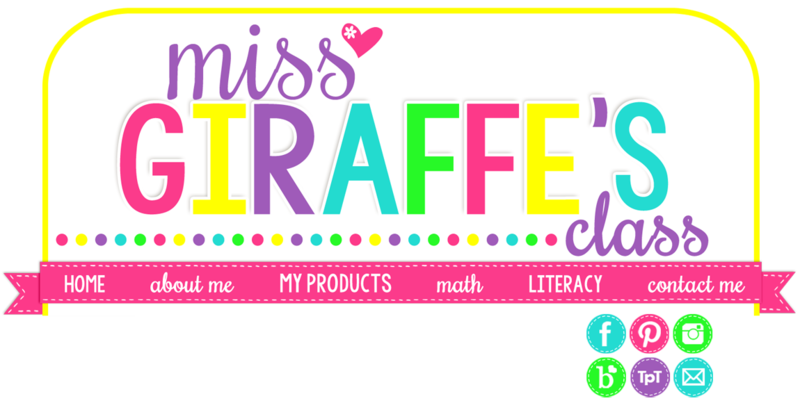 I make phonics packs, fluency puzzles, pocket chart cards, etc. for all the different phonics sounds so just look for them in my TpT shop if you want them for any sound or feel free to email me if you need help finding them!